Star Sightings: Orlando Bloom Takes Selfies With Fans, Justin Bieber Enjoys His Day Off, and More! 'Royal Pains': Where was Henry Winkler pre-Eddie Lawson? Best paranormal documentary show ever! "SIGHTINGS" was THE best documentary series about paranormal phenomena, in my opinion. I really wish that Paramount would release the entire series on DVD, preferably in separate season releases. So far, the only official releases of the series by Paramount were three VHS cassettes that featured compilations of different segments from the first 2 or 3 seasons of the show. 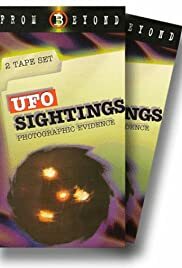 These VHS tapes were titled "Sightings: The UFO Report", "Sightings: The Ghost Report", and "Sightings: The Psychic Experience" which were all released in 1996. The 58-minute long cassettes barely scratched the surface of all of the stories and investigations covered by the series over the years and featured story segments in an edited format. Unedited DVD releases of the entire series are really wanted by fans. Here is the history of the show, for those who aren't familiar with it: "Sightings" started out as an hour-long TV special about real-life UFO sightings and alien encounters titled "The UFO Report: Sightings". It aired on the Fox network in October 1991 and received great ratings. That led to a second "Sightings" special about ghosts and hauntings titled "Sightings: The Ghost Report" which aired in February 1992. Ratings were good again, so Fox decided to make "Sightings" a weekly half-hour series which began airing in April 1992. It aired on Fox for 2 seasons from 1992 to 1993. 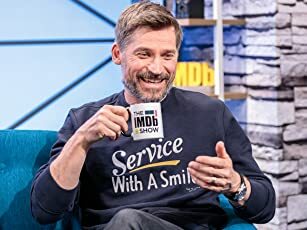 After being canceled by the network, the show returned as an all-new hour-long weekly series airing in first-run syndication from 1994 to 1996 for its 3rd and 4th seasons. The Sci Fi Channel picked up the series for its 5th and final season from 1996 to 1997. The cable channel also produced and aired a half-hour behind-the-scenes special about the show, featuring interviews with host Tim White and executive producer Henry Winkler (among others) which aired in 1996. After the weekly series ended, the Sci Fi Channel produced 5 two-hour "Sightings" specials featuring different paranormal topics that aired sporadically in 1998. (Repeats of the weekly series continued to air occasionally on the channel until 2003.) In 2002, a scripted, made-for-TV movie based on a segment of the series aired on the Showtime cable channel titled, "Sightings: Heartland Ghost". That movie was later released on DVD. In 2003, the producers of the show edited together some old footage with some new interviews and produced a weekly first-run syndicated series called "Unexplained Mysteries" which aired until 2005. "Sightings" wasn't the first show of its type. Other shows such as "In Search Of" and "Unsolved Mysteries" aired years before "Sightings" and covered various paranormal topics occasionally, but "Sightings" was one of the first series to feature paranormal topics as its main episode content each week. Over the years, other paranormal documentary shows tried to copy the show's formula (never succeeding as well, in my opinion). In the early 1990's, "Sightings" seemed to pave the way for more paranormal programming, not only on Fox, but on other networks, cable channels, and in syndication.